Indian real estate developers will exhibit their properties in the Property Expo 2013 conducted in UAE for two days. Property Expo 2013 is expected to be a big success. Property expo 2013 will be conducted in Dubai on Feb 15 & 16. 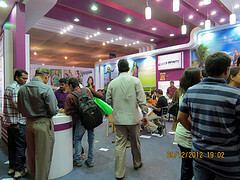 For the NRIs property exhibitions are good platforms for to learn and know more about properties located in India. So far they have remained successful in investing their surplus income in their motherland as they come to know about the properties in their motherland. With the same hope they look forward to the upcoming Property Expo 2013. This year Property Expo 2013 will be conducted in Dubai on February 15 and 16. Dubai-based real estate firm Yard Real Estate and Indian Properties; another leading realtor, will collaborate with each other to host the Property Expo 2013 in Dubai. Around 25 leading developers of India will showcase their prime properties in the Property Expo which is considered as a real platform for the investors to meet the reputed builders. The builders will display independent villa projects, residential apartments and commercial spaces in the two day expo. The exhibited properties are expected to be from across the top cities of India. Lowered value of rupees and booming nature of real estate sector in India, are two important factors that make the real estate investment a better option for the NRIs living in Gulf countries. At present the real estate sector experiences a boom in India. Yard Real Estate and Indian Properties will collaborate to host the Property Expo 2013 in Dubai. Indian Properties’ Founder and Managing Director Mr. Prasanna Thakkar said that all the to-be-exhibited properties are having all necessary permits from the concerned authorities. He added that the firm makes sure that the properties displayed are reliable. However the Dubai property expo 2013 is expected to be a good platform for both debt-hit developers and the NRI investors. The builders expect to secure a good deal from the NRIs who always remain keen on real estate investment. In fact a good share of the total properties is purchased by the NRIs. 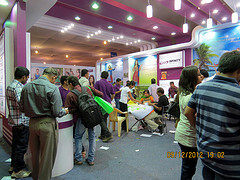 Indian Properties Spring Expo 2013 will display the projects of major developers like Godrej Properties, Jaypee Greens, Mantri Developers, TATA Housing, Wave Infratech and many others of good reputation and reliability. This entry was posted in Real Estate News and tagged Indian Properties Spring Expo 2013, NRI investment, property expo, Property Expo 2013, property fair Dubai by designer. Bookmark the permalink.